My lovely friend Amy came over for a visit from Bermuda and we spent the afternoon eating fresh scones with clotted cream and jam while having cuddles with Rolo the puppy. Another Sotonbloggers event and this time it was with the fabulous guys at Thomas Sabo. We were treated to a Bloggers Breakfast and were able to engraved our own Love Coin necklaces. September has been the month for blog planning. I left my job due to health reasons and blogging has been my main focus this month and it has been fab to just write. I spent an afternoon on board Emerald Princess with Princess Cruises for a tour of the ship and lunch. Such a shame we had to get off and couldn't sail to the med. Lush Halloween launched! My favourite time of year for lush products and you can see what I bought in my Lush Halloween Haul Post. I've been embracing the change in weather with light jackets and floppy hats. Still not ready to pack away the sandals yet though. Scarpini held a bloggers event for Sotonbloggers with cupcakes, prosecco and shoes. Best event ever right? I'm in love with these Ella Suede flats. 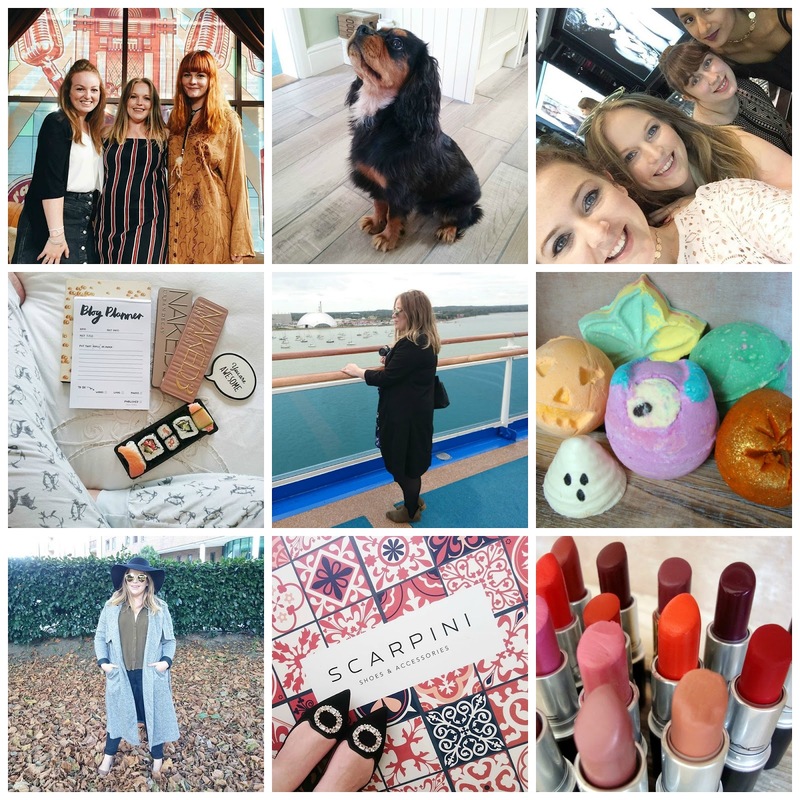 September has been manic for events and I headed to Mac Southampton with the girls a couple of days ago for the latest launch and bloggers event. How I came away without the whole collection, I don't know. What have you been up to this month? Don't forget to follow me on Instagram. Eek I love Lush Halloween products! The lush post got me so excited!